While candy shouldn’t be a regular part of your family’s diet, it’s okay to indulge once in a while, especially on holidays like Easter. And if you follow a few dentist-approved tips, your family’s pearly whites will be no worse for the wear after chowing down on chocolate eggs and jelly beans. Here are just a few ways to protect everyone’s teeth, tongue, and gums after the Easter bunny visits. As far as your teeth are concerned, sugar is sugar, but that doesn't mean all candy is created equal. 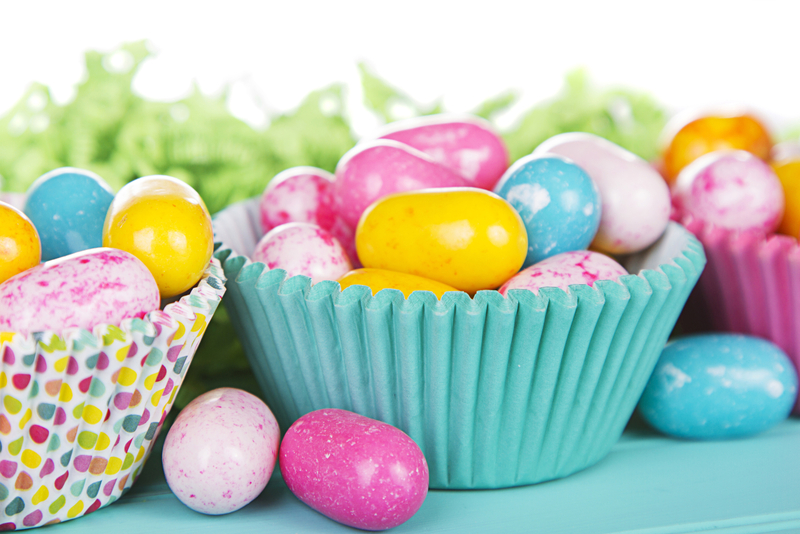 When it comes to picking Easter candy, look for hollow chocolate bunnies—a lighter treat—and avoid solid or crème-filled treats, which are loaded with a lot more sugar. You should also limit everyone’s consumption of jelly beans. They may be an Easter classic, but the particles from chewy candy are a lot more likely to linger on the teeth, creating the perfect breeding ground for bacteria. The best way to prevent cavities from developing after consuming lots of sugar is by brushing and flossing. If you’re at an Easter egg hunt or big family dinner, though, you can’t usher the whole family into the bathroom to clean their teeth. Instead, encourage everyone to sip water with their candy. This will rinse most of the sugar and food particles away. You can also offer sugar-free gum, which will stimulate the production of saliva and help rinse the mouth even more. Finally, make sure everyone brushes and flosses once you get home—and don’t forget to stay on top of dentist appointments. When members of your family are due for a teeth cleaning after Easter, turn to Anchorage Dental Center. Located in Alaska, this dental clinic can treat patients of all ages at their state-of-the-art facility. Whether your parents need dentures or your baby is ready for his or her first cleaning, you can count on them for quality care at every appointment. To learn more about Dr. James Driskell, the friendly family dentist leading their team, visit their website. To make a dentist appointment, call (907) 278-2521.